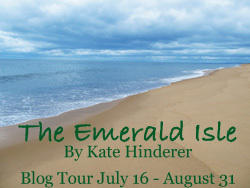 Today I have an interview with Kate Hinderer, author of the recently released clean read romance Emerald Isle. Tattoos play a large part in this story, why is that? Actually, the tattoo part of the story was something that came about totally randomly. When I was plotting and planning the story I had no idea the main male character was going to have a colored arm-sleeve. But suddenly I was describing him and he had this crazy bad boy tattoo. The concept grew from that and suddenly I realized it was a way of marking and it was crucial to the story. This happens when I’m writing, sometimes a small detail becomes much more important than I originally thought it would be. I think that is part of the craft and what authors mean when they talk about the story like it is a person – things happen almost out of your control. I also happen to be a little obsessed with tattoos. I don’t have one, but I’ve been contemplating it for a while now. Who knows… maybe one will be in my future. I used to create characters based entirely on friends and family but I realized that has two problems. One: they are often offended in how you describe them (every character has defects). Two: it often boxed me into having the characters do exactly what I would expect the person to do in real life. That was limiting. Now my characters are an amalgam of people I know. Audyn for instance was 75% based on a friend of mine who went through some difficult relationships in high school. Then I mixed in elements of my sister Amanda who is opinionated and take charge. Add in a couple elements from a few other strong and sometimes annoying people and you get Audyn. Linley, on the other hand, is a mix of a couple kids I used to babysit. There are kids who are sweet, even when they ask personal questions. You can’t help but fall in love with them. Do you have a tried and true writing method? When I am seriously writing I write continuously, one scene and then the next. I’m often tempted to skip scenes and write my favorite scenes first. But I’ve found that is bad for a few reasons. One: I never want to go back to writing some scenes, so often I don’t. I have way too many partially written books sitting on my computer. Two: Things often develop in the in between scenes that would be missing if I skipped around. Three: The whole writing process is more smooth and the story more continuous if I am disciplined about working in order. In the editing process do you delete scenes? With my first book, Aurora Undefined, I ended up deleting at least five scenes that I had written into the first draft and saw as totally useless in the grand scheme of things. 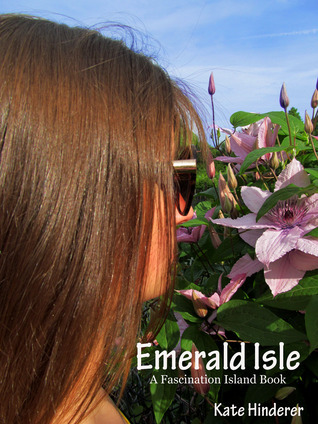 With the Emerald Isle I was more aware of the use of scenes to advance the story line. In the end I only deleted one scene: a scuba diving scene with Tim. It wasn’t as strong as I wanted it to be and since I wasn’t sure what it did for Audyn’s story I got rid of it. Is it hard to keep track of all the characters and what they look like? When I wrote my first book, Aurora Undefined, I kept scrolling back and forth to reference how I mentioned a characters eyes or hair type. Now I operate with two open documents; the one in which I am writing the story and one that has a description of each character as they are introduced into the story. It has saved me so much time to work this way. This is the first book of a series, what made you determined to write multiple Fascination Island books? I didn’t start out to write a series. I knew exactly the story I wanted to tell and what would happen. But as the story progressed and as I fell in love with the secondary characters I realized there could be more to the story. On the other hand, I debated creating a series because sometimes I read a book and get so frustrated with an ending. Some authors leave crazy cliffhangers to get you to purchase the next book. I knew if I made a series I wanted each book to be complete in itself. The next book will deal with the same themes and the same people, but the main character will be new. The story will be her own. Where are you in the writing of the second book? I’ve got the hardest part done – I’ve crafted the story in my mind, created the characters, and envisioned the scenes. I have notes and mental pictures of how it begins, what happens in the middle and how it ends. But the writing hasn’t begun yet. I’ll actually start it this week, as I begin a much-needed vacation. The goal is to have book two published around the New Year, but we’ll see how what goes. There are so many timing factors that go into this and it is hard to say when every little element will be done. Can you share any spoilers about book two? I don’t want to give away too much at this point, especially since some things have a way of changing as the writing happens. Still, the main character will be new to Fascination Island. She’ll be interning at the resort for the semester. Falcon will also feature pretty predominately. Kate is a journalist by profession. 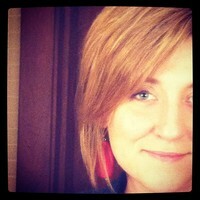 Her work has appeared in a variety of publications. She started writing stories and novelettes in 7th grade. Her teachers thought she was copiously taking notes, but really she was penning stories about her classmates. That passion only increased in high school. The stories became longer and the passion for writing was deeply ingrained. As a junior she resurrected her school’s student-run newspaper and opted to pursue a journalism career to harness her love for writing into a payable profession. Still, the stories never stopped flowing. To escape a bad break-up and fighting parents Audyn takes a job as a lifeguard at Fascination Island. The posh five-star resort lives up to its name in every way, including the strange rules the owner has about entering the water at night. Despite declaring it a boy-free summer, it isn’t long before the shy, endearing Levi and the mysterious, tattooed Tristan begin vying for her attention. When Levi tries to push his advantage and Tristan comes to the rescue, Audyn realizes there is more to both these boys and the island they inhabit. Suddenly, she’s forced to acknowledge a reality she’d never considered and to pick a side in the conflict that has been waging for decades.